It says a lot about a gig’s lineup when the band at the bottom of the bill are of a clear headline standard. It’s clear, then, that Dan and Naomi Gott, the pair behind the Behind the White Door promoter’s outfit, who also happen to be Snakerattlers, are determined to give their album a decent launch tonight. Local lads Black Lagoons, sporting a selectin of shirts worse than my own, start out with some fuzzy bass and heavily tremolod guitars, leading into a raging slab of punk-tinged desert psych. The bulk of the set’s dominated by gnarled-up blues boogies thrashed out at a hundred mile an hour. It’s a hell of a ride, and I’m reminded a little of early Gallon Drunk: it’s not just the sharp haircuts, but the furious, frenzied take on rock ‘n’ roll which yields an intense, immersive wall of sound. 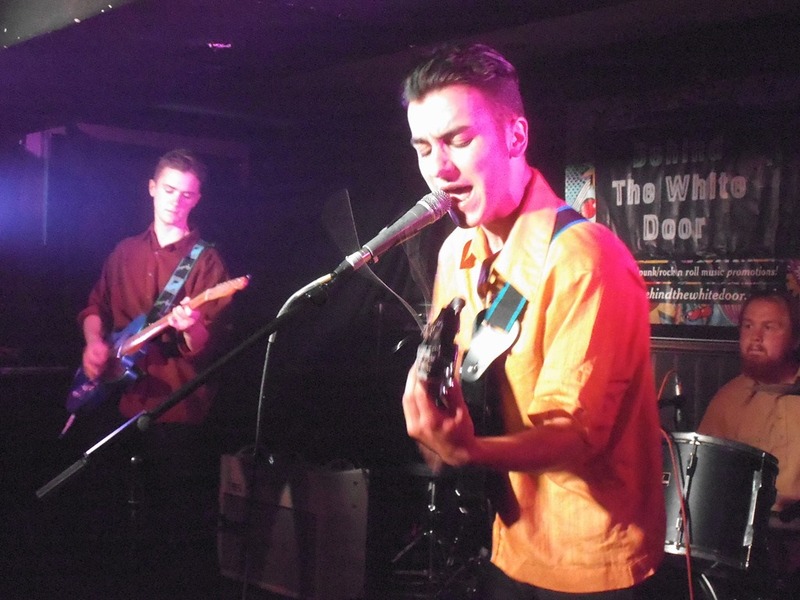 London’s Sly Persuaders, on the face of it, offer a more straight-ahead brand of punk rock, but as the set progresses it’s clear there’s a lot more going on. They’ve got some swagger behind a stack of sinewy guitar lines and rugged, serrated bass tones, carrying hints of The Screaming Blue Messiahs in places, as well as the spiky grit of various Touch & Go bands from the early 90s in others. It’s invigorating, and it’s also getting bloody hot in the low-ceilinged pub venue. The problem with ‘fun’ bands is that everyone has a different idea of fun. Naturally, some modes of fun are more populist than others, and it perhaps goes without saying that punk in itself isn’t exactly the mainstream. 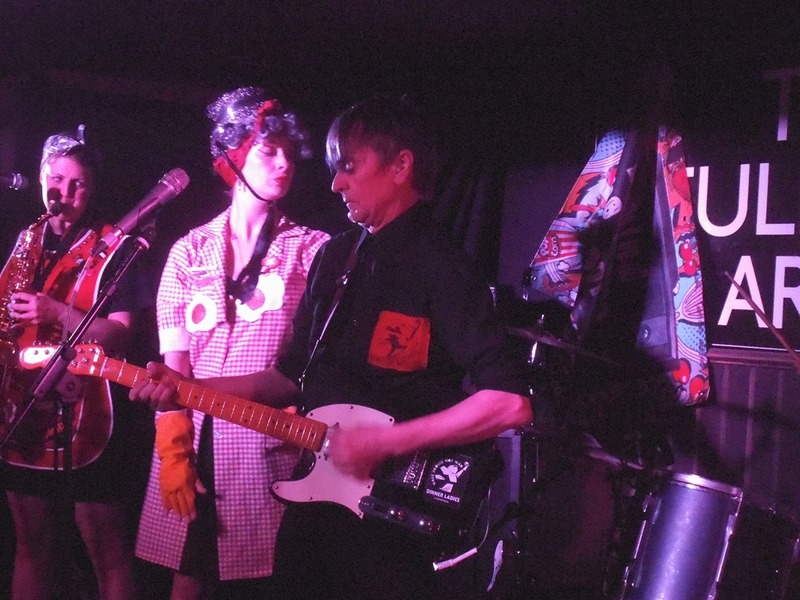 Pete Bentham and the Dinnerladies churn out pub rock punk with lyrics which leap from wry sociopolitical critiquing to observations on ‘modern’ art (although I’d probably bracket avant-garde provocateur Marcel Duchamp as a proto-postmodernist myself). Pete himself doesn’t look a day under 50, and resembles a young Mark E Smith. He’s backed by a band considerably younger, and augmented with the performance element of ‘the dinnerettes’ a couple of buxom women with red gingham overdresses with fried egg patches sewn onto their boons, who make choreographed gesticulations to illustrate the lyrics. Or, sometimes, they just jog on the spot as during the ska knees-up about Uri Geller. They end up in a writhing heap in front of the stage at the end of the end of the set and everyone applauds because it’s a right laugh. The sax does give them a bit of a Psychedelic Furs vibe, though, which is a plus. 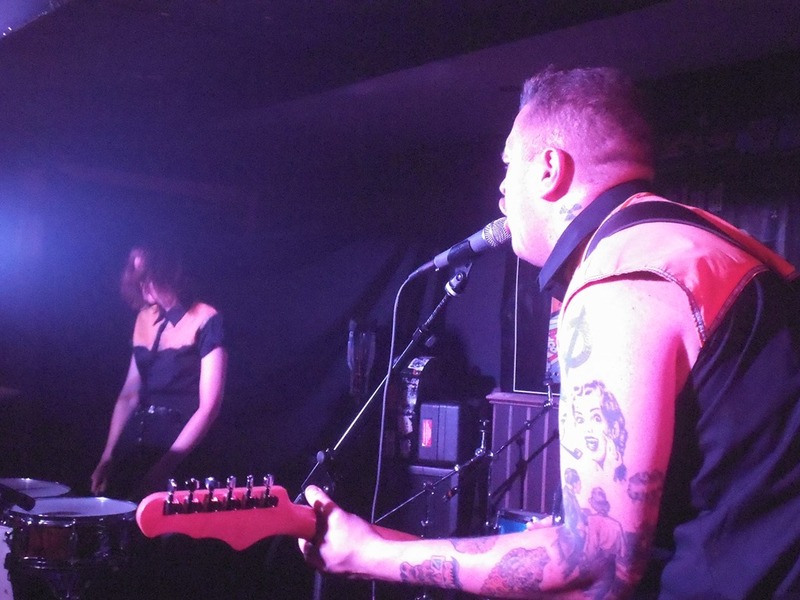 Snakerattlers haven’t been around long, but since losing their drummer and disbanding The Franceens, Dan and Naomi have wasted no time in pulling together a set, a busy gig diary and now an album. 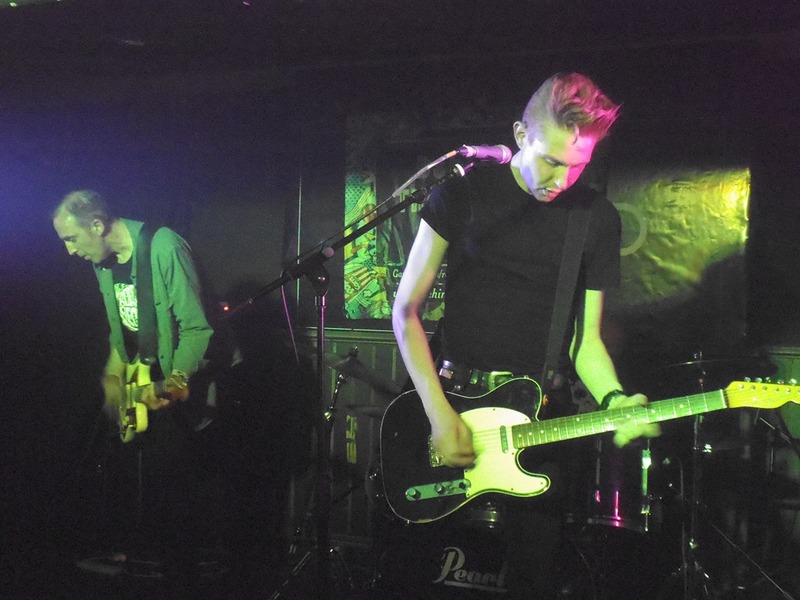 To launch it, they play a set comprising everything they’ve got. And they play it hard. As a two-piece, theirs is a minimal set-up – Naomi has a simple, three-piece drum kit consisting of tom, snare and cymbal, and Dan fill out his guitar sound with a fuckload of reverb, plays through two amps (guitar and bass) and cranks it up LOUD. Their sound is s wild rockabilly blues country rock ‘n’ roll surf hybrid, with many of the lyrics consisting of hollers and whoops. Dan works up a sweat, while Naomi has a more nonchalant, easy style, swinging her arms and hips in a way that looks effortless, but she hits hard and keeps it tight. In many respects, the simplicity is the key to what makes Snakerattlers a great band: there’s no clutter, either about the sound or the performance. There’s not a whole heap of banter and the songs are cut down to the bare essentials, meaning they get their heads down to the business of kicking out high-octane garage rock. They do low-down boogie; they do guitar lines with strut and swagger; they do hooks. They do it all with force, and it’s appreciatively received, ensuring Rattlerock is well and truly launched.